Get ready to get down, WRUW-style! 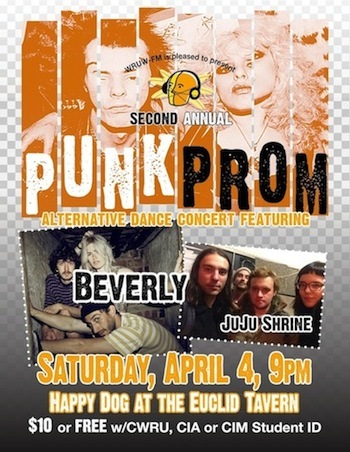 WRUW-FM 91.1 Cleveland is pleased to present our second annual punk prom, an alternative formal and concert featuring Beverly and local rockers Juju Shrine! Saturday, April 4 at Happy Dog at the Euclid Tavern. 9 PM. $10 tickets at the door. CWRU, CIA and CIM students get in free with a student ID.